Some of us have personally experienced a destructive fire in our home. Many more of us have family, friends, or neighbors who have experienced a fire in their home. All of these fires were not the result of a chimney fire or related to a fireplace, but 100% of them were preventable by taking the precautions necessary to ensure the safe use of appliances that pose a fire hazard risk in our homes. 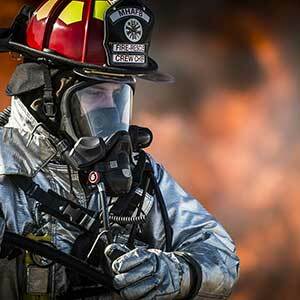 A material, substance, or action that increases the likelihood of an accidental fire occurring. This definition of fire hazard stresses the point that, just because there is a fire hazard present, this does not necessarily mean that an accidental destructive fire will occur. Educating ourselves on the risks associated with fire hazards, and how to prevent these fire hazards from causing an unintentional fire, can allow us a potential lifetime of enjoyment from those appliances that pose a fire hazard risk. Fireplaces, wood stoves, and fireplace inserts are appliances that pose a fire hazard and if not properly used, can and will cause an unintentional fire to occur. Here are a few steps that everyone can take to help keep your home and family safe this winter. Although the term is very specific, this is a broad topic. Chimney inspections actually encompass the entire hearth system. 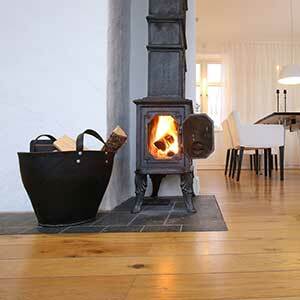 A properly trained chimney sweep will perform a chimney safety inspection on the chimney and the fireplace... or the chimney and the wood stove, etc. This inspection is only as good as the knowledge and trained eye of the inspector, so it is of the utmost importance that you choose your chimney sweep wisely. What they don't know CAN hurt you! This inspection is to identify if there are any fire hazards that will potentially cause an unintentional fire and the solutions to prevent those from occurring. Chimney safety inspections should be performed annually, even if you do not plan to use the chimney. Emergencies cause plans to change, and one example of this is an ice storm that knocks out power for several days. If the fireplace and chimney are needed for emergency heat, then it needs to be inspected for fire worthiness prior to use, each and every year. The inspection is not for what you have done in the past, it is for what you may do in the future. This step is typically performed in conjunction with a chimney inspection to remove any deposits from the chimney, appliance, and connectors to provide maximum trouble free use throughout the heating season. The deposits, if not removed, can cause the appliance to perform sluggishly, spill products of combustion into the home, and cause a chimney fire. This should also be performed at least once per year to avoid the problems and hazards that can occur if you don't have your chimney cleaned. This is a step that many overlook until a particular tool is needed. Fireplace safety tools include the common fireplace poker, fireplace shovel, and the fireplace broom, but the most overlooked tools that everyone should have are the fireplace gloves, and the fireplace ash can. Fireplace gloves may not seem all that important until a log rolls out of the fireplace, so be sure to get a pair of them...just in case! Carbon monoxide detectors, smoke detectors, and fire extinguishers are an important part of keeping your home and family safe throughout not only the heating season, but throughout the entire year. 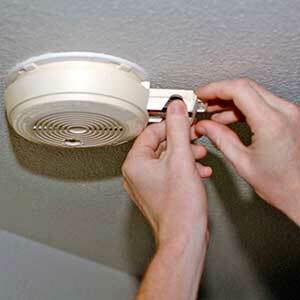 Be sure to replace the batteries in your smoke detectors and carbon monoxide detectors each year, whether they need it or not. It is also a great idea to have fire extinguishers in multiple places around the home, and in multiple places on each level of the home. Although this is not an all inclusive list, and a few of the steps listed here are not necessarily part of the chimney safety inspection, it is still a good solid foundation of advice on how to establish whether you are ready for the curve balls that mother nature and old man winter have in store for us this winter. Keep in mind that we at A-1 Chimney Pro are here to help you and your family stay safe and warm! If you ever have any questions pertaining to fireplace and chimney safety, please don't hesitate to contact us. It is our job and we are proud to do it! Contact us today to see about getting your hearth heating system cleaned and inspected. I would like to get a chimney inspection. I tried to light a fire in my fireplace. The wood burned but after about 30 minutes the smoke started coming into the house. There was very little smoke that could be seen coming from the chimney at that time. We can get you fixed up! Go to the contact page and fill out the form or give us a call. Thanks and have a great day!